If you’ve ever been to Kiawah Island or Downtown Charleston, you know how serene and beautiful they are. Lets talk about nature and attractions you can see nearby — for free! Don’t have plans for the day? There’s nothing better than taking a leisurely stroll across West or East Beach, or in the lovely Vanderhorst Plantation behind the second gated community. We have the best sunrises and sunsets around! There’s nothing like standing on the sand and seeing a colorful display from above. Stop, breathe, and take it all in. Are you planning on heading downtown? 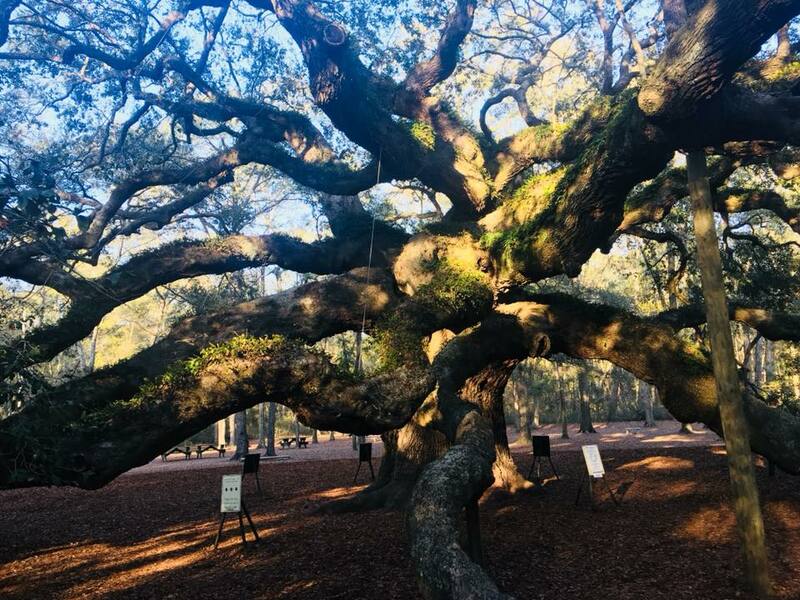 You can’t vacation on Kiawah without stopping to see the estimated 500 year old Southern live oak tree located in the Angel Oak Park on Johns Island. It is just a 15-20 minute drive between Kiawah Island and downtown Charleston. It is an absolute must see! It is free to enter, but be sure to check the website because there are specific park hours and the tree is gated. This beautiful piece of nature is becoming widely known around the world, and people come from all over just to see it in person. While you’re here, you should, too! If you’ve never been to downtown Charleston while taking your trip to Kiawah Island, then you’re really missing out! It has shopping, culture, food, and charm. The Battery and the Pineapple Fountain are two free places that visitors and locals alike both love to frequent. Both have breathtaking views along the waterfront, and are perfect for taking photographs! Scenic beauties like these make it hard not to want to be a frequent flyer! Be sure to walk the cobblestone streets and explore our city while you’re here. We have a beautiful city filled with natures wonders for you to explore.